Screen printed tea towels are a great way for organisations and schools to fundraise without having to pay a fortune. The key here is to do a good amount, over 100 and to keep the colours used limited. A lot of schools in the past have done very well fundraising with tea towels, please just ask if you need some help with ideas. 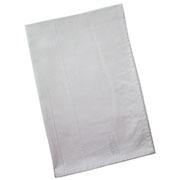 We believe our plain white teatowels are the best on the market. They are made with quality cotton only and do not allow recycled and junk cotton commonly used in cheaper teatowels. We personally specify only high grade cotton at a full white. Compare with others and see the difference in colour and finish. Ours may cost a little more, but last longer – a lot longer. Check out our Tea Towels below and fundraising ideas here. Standard print up to A3 or Extra Large print up to A2.